After only 15 months working with different Veterans and Fraternal Organizations, a new milestone has been reached. Today, the Ohio Veterans and Fraternal Charitable Coalition (OVFCC) surpassed over $3,000,000 raised for local charities and organizations. The money raised by the OVFCC goes straight to the veterans and fraternal organizations and the charities they support, and helps benefit the populations that need the money the most. If your Veteran or Fraternal organization is looking to give its members a fun and entertaining way to join in raising over $3,000,000 for charities, contact the OVFCC using the link on the left side of the page. TALLAHASSEE, Fla. (AP) – Florida’s lieutenant governor resigned and nearly 60 other people were charged in a scandal involving a purported veterans charity that authorities said Wednesday was a front for a $300 million gambling operation. 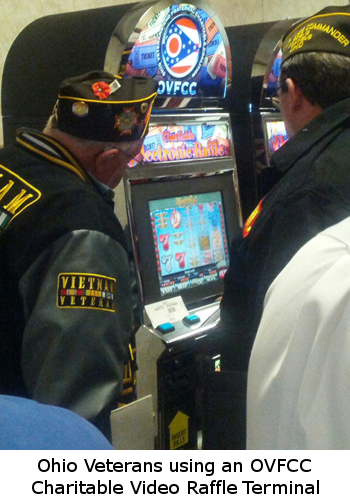 The organization, Allied Veterans of the World, runs nearly 50 Internet parlors with computerized slot machine-style games, which are normally legal in Florida if most of the proceeds go to charity. But investigators said the organization’s executives gave precious little to veterans and lavished millions on themselves, spending it on boats, beachfront condos and Maseratis, Ferraris and Porsches. > The OVFCC is an association of the largest and smallest veterans and fraternal organizations in Ohio. It is not a charity and it does not have any financial means. The Board is appointed by the state organizations that compose the Coalition and the board members serve as volunteers. It has no employees and does not receive any money from the fundraising efforts of its member posts and lodges. > The OVFCC has contracted with a vendor, CMCG, which owns a valid license for video raffle software used by OVFCC member posts and lodges. The video raffle program and the RMS system track every financial transaction which takes place involving the video raffle terminals in every location. All money used to participate in the video raffle program is accounted for and can be monitored by the OVFCC and any law enforcement agency who requests the ability to monitor the program. > Every location which is participating in the OVFCC video raffle program is required to account for the money used in the program by depositing the gross profit from the program in a separate bank account which is monitored by the OVFCC. Failure on the part of any location to follow the rules of the program results in expulsion from the program and forfeiture of the terminals. > The OVFCC, in conjunction with CMCG, has offered complete access to the video raffle program and RMS to the Ohio Department of Public Safety and the Ohio Attorney General to view all aspects of the video raffle program and RMS. The OVFCC sends a weekly report listing the location and serial numbers of each terminal to the ODPS, which provides them with the ability to monitor and validate each terminal. > The OVFCC Board has the ability to monitor every transaction on every terminal in each location in real time. The Board also receives a monthly written report detailing the activities of each location including the amount of money paid for expenses, the amount transferred to the 501(c)(3) charity according to the contract and the amount retained by the post or lodge. > The OVFCC is operating a raffle as defined in ORC Sec. 2915.01HH. The OVFCC’s member posts and lodges are veterans and fraternal organizations permitted to conduct raffles pursuant to ORC Sec. 2915.092. The OVFCC in conjunction with the Ohio Attorney General have drafted legislation to clarify and regulate the operation of charitable video bingo which specifically includes the video raffle program currently being operated by the OVFCC. 1. OVFCC is an association with appointed board members who receive no compensation and which perform no financial activity. Allied Veterans of the World was a purported charity which raised funds for itself and had numerous employees who received compensation. 2. OVFCC operates a video raffle program from which it receives nothing. 100% of the net profit raised from the video raffle program is divided equally between the fraternal and veterans posts and lodges and the 501c3 charities with whom they contract. AVW was a purported charity which apparently raised funds using so-called sweepstakes games for its own interests, with a very small percentage going to legitimate charities. 3. The OVFCC video raffle program is transparent. All transactions can be monitored in real time by the OVFCC and any regulatory organization which seeks to discover how the money is accounted for, can be given access to monitor the program. Apparently, the AVW used various methods to keep officials and others from knowing what happened with the money it raised. From the reports in the media, the AVW was used to generate money for a few individuals under the guise of charity. It is important to note that the program being offered by the OVFCC is transparent, legal and designed to generate funds for charity. We will continue to educate regulators and the public at large that the OVFCC believes that an open and honest approach to fundraising is a “win-win” for everyone. 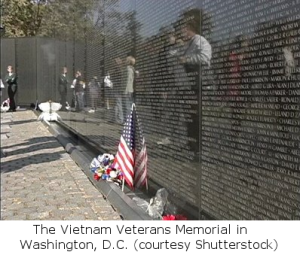 The Ohio Veterans and Fraternal Charitable Coalition (OVFCC) is pleased to announce that it has raised over $50,000.00 to fund the Commemoration of Vietnam Veterans week scheduled to take place on March 26-29, 2013 in Columbus and sponsored by the Ohio Department of Veterans Services (ODVS). The OVFCC members, which include the VFW Department of Ohio, the American Legion Department of Ohio, the Amvets Department of Ohio, the Ohio Fraternal Order of Eagles, the Ohio Benevolent Protective Order of Elks, the Ohio Loyal Order of Moose and the Ohio Council of Fraternal, Veterans and Service Organizations, will underwrite most of the expenses associated with the Commemoration such as publicity, banquet expenses, and payment of costs associated with transporting and displaying the mobile Vietnam Veterans Wall, which will reside in Columbus during the Commemoration week. 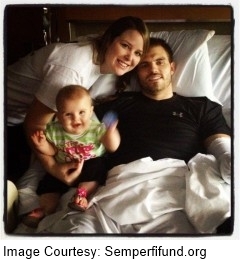 “Our members immediately responded to the call of duty to recognize their brethren in arms. We are pleased to join Governor Kasich and ODVS Director Colonel Tom Moe in commemorating these patriots whose service should be appreciated by all of us,” Seagraves said. Colonel Moe praised the OVFCC for ‘taking the bull by the horns’ to raise the funds necessary to honor the Vietnam Veterans. The Commemoration is expected to attract thousands of Vietnam veterans, their families and the general public. For more information, please contact Bill Seagraves, Ohio Department of Veterans Services, or the OVFCC by using the “Contact Us” link on the left. Today, The Columbus Dispatch published an article that highlighted the efforts of the Ohio Veterans and Fraternal Charitable Coalition (OVFCC) to raise funds for local and state-wide charities. Veterans organizations say the machines are doing what they’d hoped. Members are playing the terminals rather than sweepstakes machines outside of posts. Are the two machines at the Gahanna VFW post popular? “Extremely,” said Pam Williams, the canteen manager. In the last 15 months, the OVFCC has raised over $2.8 million for the veterans organizations, fraternal orders and the charities they sponsor. By partnering together, the OVFCC is proud to help support important, state-wide populations, such as Ohio veterans, who number over four million in the state. The OVFCC is also the primary sponsor of the Commemoration of Vietnam Veterans, which is scheduled to take place in late March in Columbus. The Commemoration will feature the mobile Vietnam Veterans Wall Exhibit, which will be displayed at the Ohio State House. The OVFCC contributed over $50,000 in support of the Commemoration. Welcome to Up to Date, where we at the OVFCC strive to keep you in the loop with the groups and organizations doing business with the OVFCC. 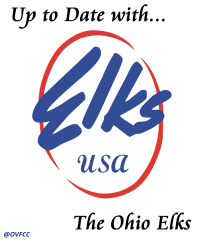 In today’s installment, we bring you an update on our partner, Ohio Elks Association. The OVFCC prides itself in working with Veterans and Fraternal Organizations, helping to provide fundraising solutions, not only for the organizations, but also for charities they support. In working with organizations like the Ohio Elks, the OVFCC seeks to also inform not only those organizations, but other OVFCC partners on the internal goings on of our partners. To read more about the Ohio Elks, and what the organization is currently pursuing, click on the link below to view their January Newsletter. Would you like to have any of your organization’s information shared on this blog with our many partner organizations? Click on the “Contact Us” link on the left side of this page, or simply click here. It is no secret that one of the most difficult parts for veterans is returning to a normal, civilian lifestyle when their tours of duty end. Since 9/11, and wars in Afghanistan and Iraq, many veterans are finding that transition more and more difficult. Post Traumatic Stress Disorder (PTSD) is one of the more common psychological ailments that affects these vets, while more and more returning combatants are left dealing with their injuries sustained while serving. Charities are playing a large role in helping veterans acclimate themselves back into civilian life, and more and more veterans are turning to charity in their time of need. In Ohio, organizations like AMVETS and the VFW of Ohio Charities are helping to lead a charge that is spearheaded by groups like Semper Fi Fund, a charitable organization founded by Marines, and Give an Hour, an organization focusing on providing free mental health care to veterans of the Iraq and Afghanistan wars. The need for such organizations is very high. The veterans often must wait months for their first disability check, a period when they can be without income, she says. Compounding circumstances is the ever-present struggle to re-connect with family after physical or mental health has been altered by war. ‘We’re there to get them over that hump, to make the transition,’ [Semper Fi Case Manager Christine] Jones says. The OVFCC is proud to follow in the footsteps of organizations like Semper Fi and Give an Hour, while partnering with local veterans organizations to help those who have sacrificed for our country. By using OVFCC resources, local organizations are able to give to important charities. In fact, in partnering with the OVFCC, over $2.6 million has been raised in the last 15 months. That’s money that goes right to these organizations and their selected charities. Our veterans are among the most important population in this country, and the OVFCC is proud to support groups that support these veterans. By joining with the OVFCC, your organization can help play an integral role in assisting veterans, too. For more information, use the “Contact Us” link on the left to learn more about how you can get involved with the OVFCC.